Pictured from Left to Right: Isaac Zimmer; Partner at Michigan Valley Insurance Agency, Richard Marotzke; President/CCO at RichMark Private Wealth Management and Barbara Appold; CEO/President of United Financial Credit Union. 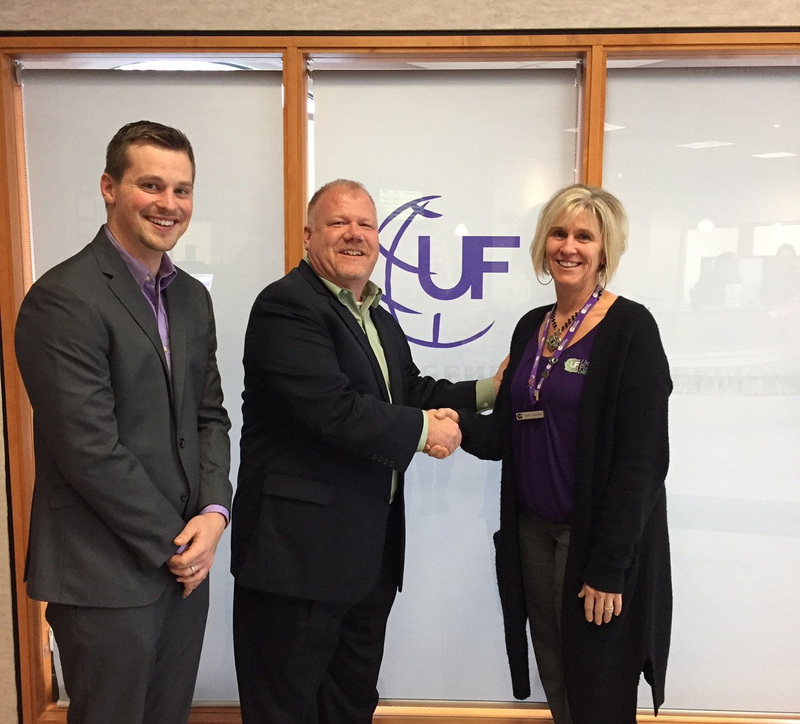 United Financial Credit Union is pleased to announce UFirst Financial. UFirst Financial is a new service offered between United Financial Credit Union, Michigan Valley Insurance Agency and RichMark Private Wealth Management. 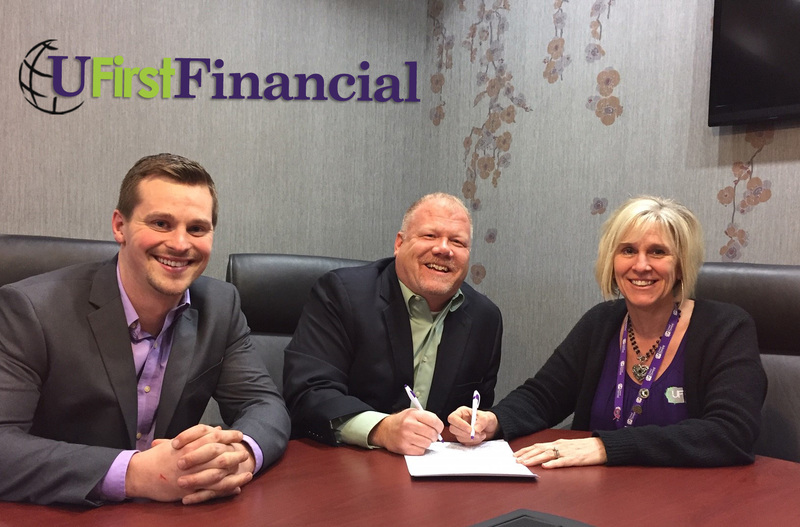 With this new relationship, the Credit Union is now able to offer their members a full range of additional Wealth Management, Investment and Insurance products and services. Richard R Marotzke is President of RichMark Private Wealth Management a state Registered Investment Advisory Firm and one of the Co-Owner’s of Michigan Valley Insurance Agency a state licensed Property and Casualty Agency. He has 13 years experience in the financial industry serving clients needs through fee based advising. Marotzke is able to provide members with a personalized financial plan in multiple different areas; including Estate and Financial Planning, Tax Management, Investment Management and Retirement Strategies. RichMark has locations in Frankenmuth and Saginaw to conveniently serve their clients. Marotzke lives in the Great Lakes Bay Region, with his wife Joanne, who is a 5th Grade teacher at Auburn Elementary School. They have two children that attend Valley Lutheran High School. Marotzke has also served as the president for the Saginaw Township Youth Football program and has coached High School Football. Isaac Zimmer, who is part owner of Michigan Valley Insurance Agency, has over 5 years experience in the insurance field. Isaac is able to provide members with a wide range of insurance products; including Property, Home, Auto, Life and Health Insurance. Zimmer lives in Reese with his wife Nicci. He helps coach basketball at Reese High School and also played football at Saginaw Valley State University, where he received his degree. UFirst Financial is based out of United Financial Credit Unions main office at 4685 State Street in Saginaw. Marotzke and Zimmer will both be available for appointments. United Financial Credit Union was founded in 1964 to serve a small group of tool and die workers in the Bridgeport area. United Financial currently has six locations located in Bridgeport, Saginaw Township, Chesaning, Freeland and Auburn and serves over 24,000 members. Anyone who lives, works, worships or attends school within any county in the State of Michigan’s Lower Peninsula can become a member.